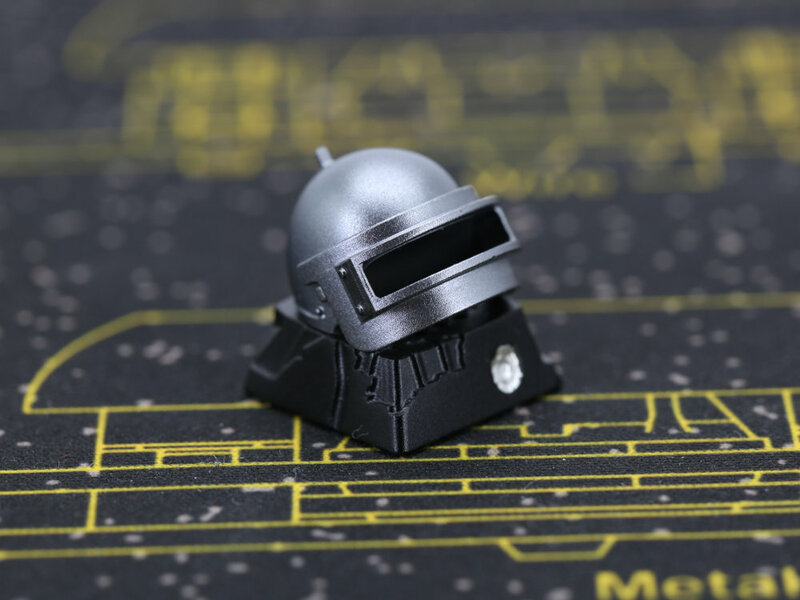 Varmilo's PUBG inspired Level 3 Helmet Keycap is made from anodised aluminium, on a backlit keyboard light comes through the top of keycap and can be seen through the viser, also the viser can be lifted. It works great with the Chicken Dinner keyboards. 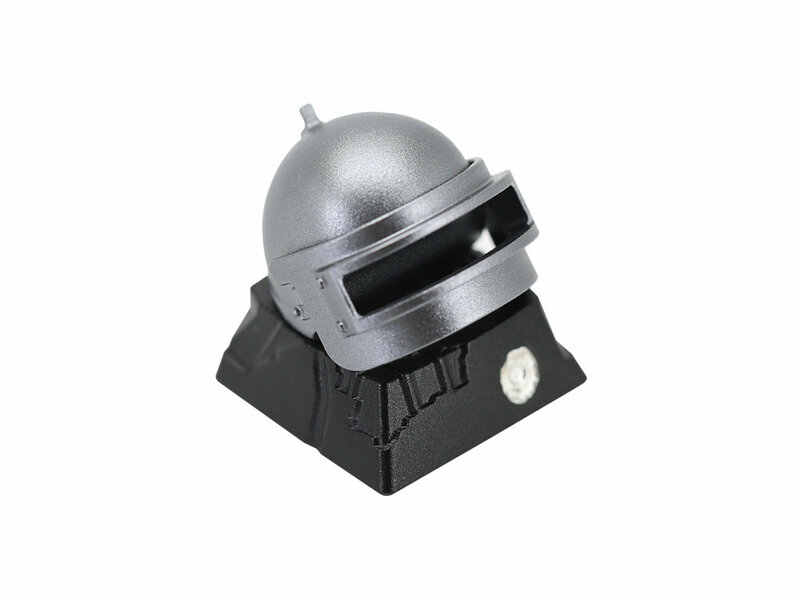 It's designed to fit Cherry MX switches but should work fine with any MX compatible switch.